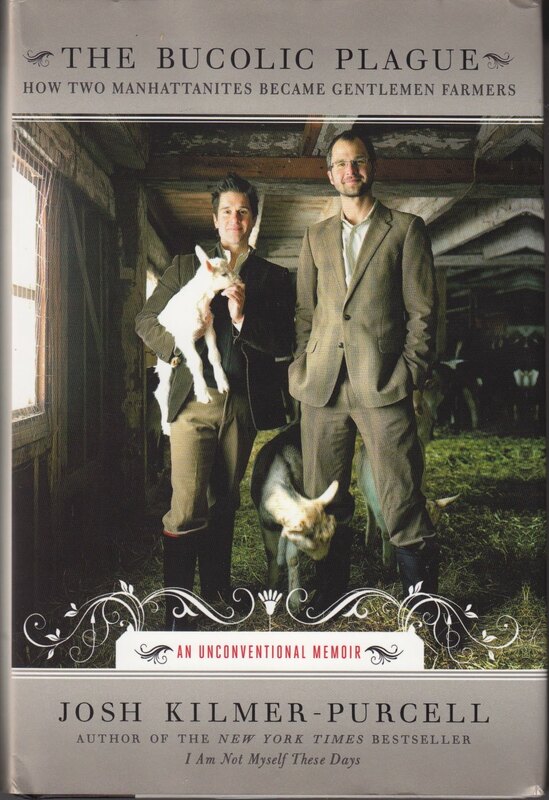 Tonight is the premiere of The Fabulous Beekman Boys a kind of Green Acres with an overachieving gay doctor and his ex-drag queen boyfriend who make soap from goats milk. Sounds 'fab" to me. As one of those drop- off-the-map-to-the-middle-of-nowhere-to-become-bucolic, I relate. The show is on the green planet network which used to be another network till green got so chic. honestly, I never knew I go the green planet channel till I set up the TIVO to record The Fabulous Beekman Boys. Here's the added plus -- there's a book entitled The Bucolic Plague. It is very funny and a good insight into what happens when "city folk" move to the country. I'm a bit jealous because the Beekman Boys moved to a gigantic mansion in the country but not jealous of the gigantic upkeep. I sympathised when their mid-winter thermometer was set at 50 degrees. I don't have a mansion but trying to heat my three bedrooms was enough to break my bank! O.K. I came back I will have to check this book out. The show sounds like a good one.